Add the broth, flour, and spices to the slow cooker and whisk until the flour is dissolved and incorporated. 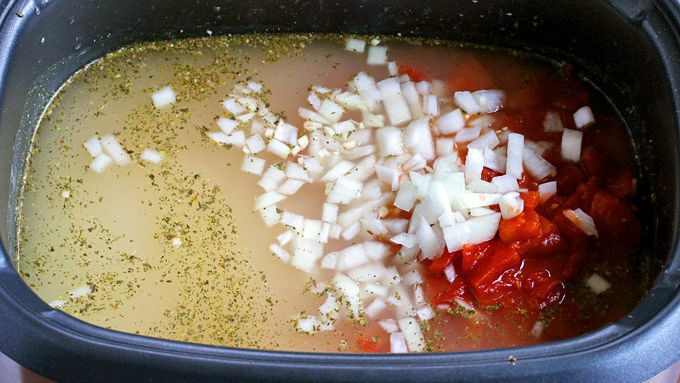 Add the onion, garlic and tomatoes and cook on Low for 4-5 hours or High for 2-3 hours. Add the frozen tortellini and cook on High for another 15-20 minutes or until done. 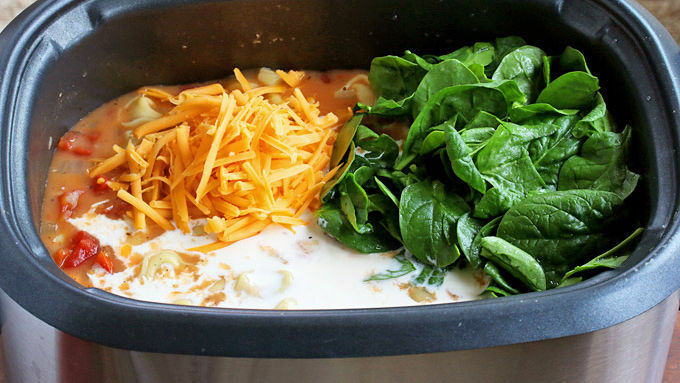 Add the spinach, cream and shredded cheese and stir until the cheese is melted. Cook for another 5 minutes until the spinach is wilted. Add salt and pepper to taste. 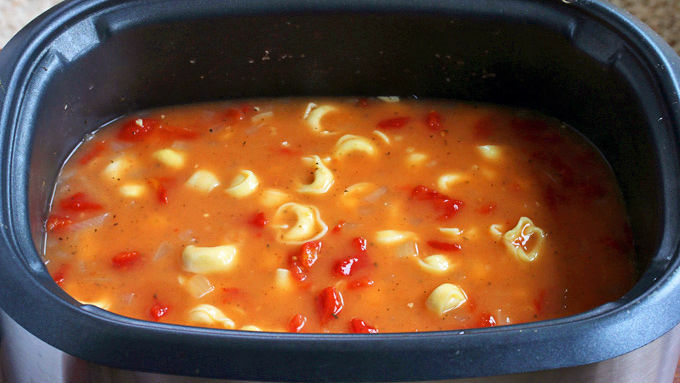 Cheesy, creamy tortellini soup will keep you warm on even the coldest winter weeknight. 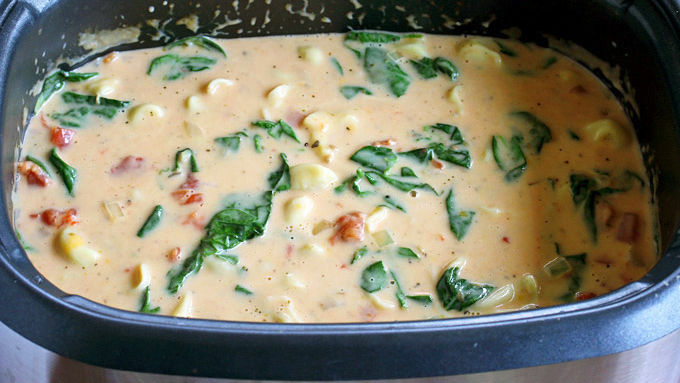 This is a terrific comfort soup that's fuss-free and easy to make. The end result: soup with a great flavor and perfect texture. 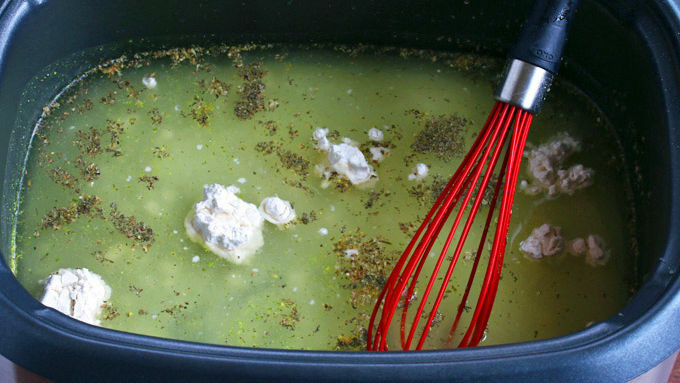 Many creamy slow cooker soups turn out kind of yucky-looking because the dairy (milk, cream, cream cheese, etc.) curdles. 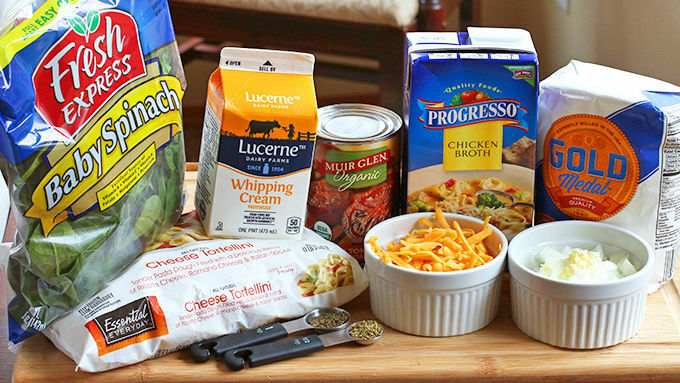 The key here is adding these ingredients last. That way you’ll have a perfectly smooth and velvety texture. The base of this soup is simmered for a while first, creating a delicious foundation of flavor for the other ingredients. 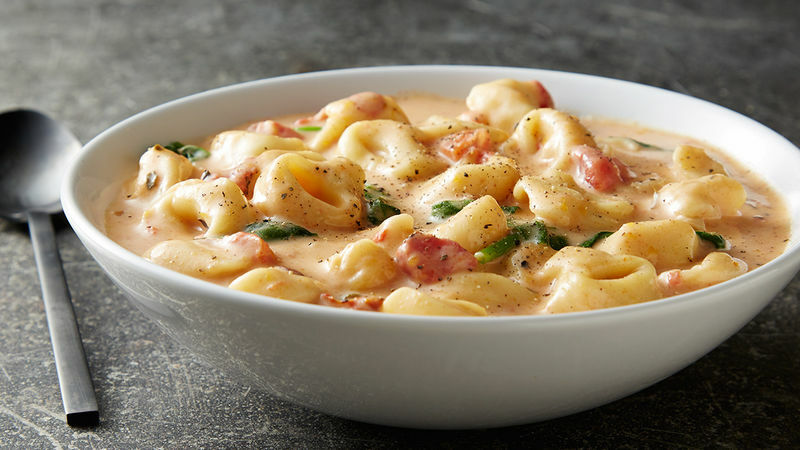 The fire-roasted tomatoes add a hint of smokiness, the spinach adds color, texture and nutrition, and those cheesy tortellini... well, they speak for themselves!